Oakland Public Library staff artists and performers go public! Oakland, CA January 24, 2008--See the Oakland Public Library staff in a whole new light as they share their creative work with the public in March. 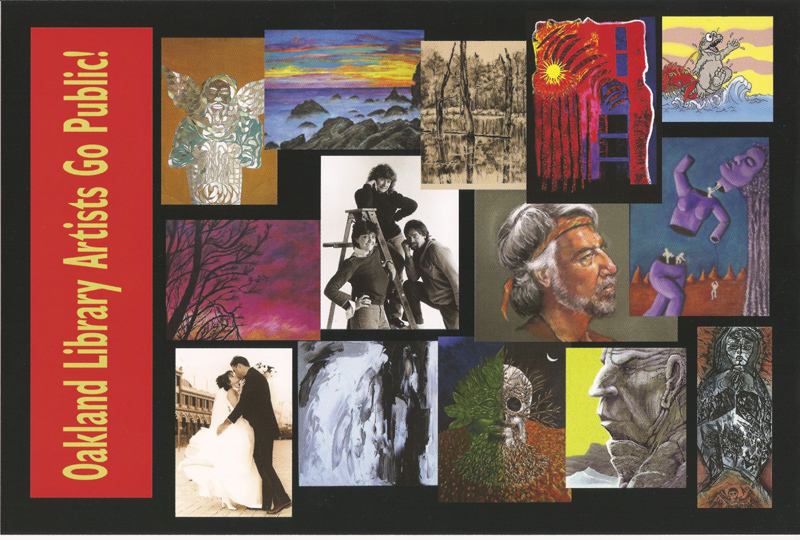 Visual artists will exhibit their work at the Rockridge Branch Library throughout the month. Performing artists and poets will present a program of music, poetry and dance on March 18. The artwork of seventeen library employees will be on exhibit in Oakland at the Rockridge Branch Library gallery from Monday, March 3 through Saturday, March 29. Featured are paintings, photographs, etchings and drawings. The hours of operation of the Rockridge Branch are listed below. The gallery is on the second floor and is accessible by elevator and stairs. For one night only there will be a gala reception showcasing Oakland Library staff performers and poets. This free event will also be held at the Rockridge Branch Library, second floor, on Tuesday, March 18th, between 5:30pm and 7:30pm. The public is invited to come meet the artists and enjoy live entertainment and delicious food. There will be a special boutique featuring books and CDs by the performing artists, as well as jewelry, cutting boards and cartoon books. The Rockridge Branch Library is located at 5366 College Avenue in Oakland. The branch is open Mondays and Tuesdays from 12:30 to 8:00, Wednesdays and Thursdays from 10:00 to 5:30, Fridays from noon to 5:30 and Saturdays from 10:00 to 5:30. IMAGES AVAILABLE of participants and of individual pieces of artwork by request at email qbmusic@hotmail.com or jeanne@jeannediller.com.